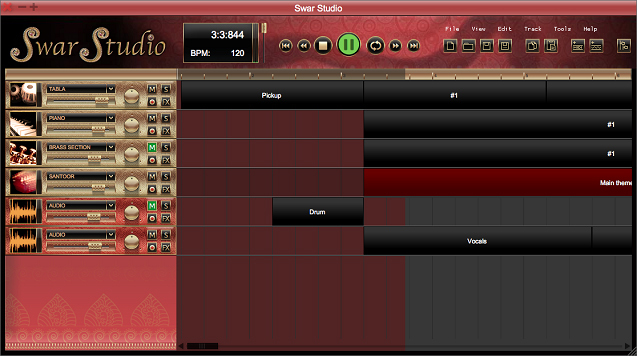 Swar Studio, Other Sequencer from Swar Systems. Swar Systems has updated Swar Studio to version 1.1, which now lets you add your own custom virtual instruments to the mix. You can now use your own synths to replace the built-in ones or add new sounds. Added Sound Engines tab in Options panel to use custom VSTi or Audio Unit synths as new instruments or to replace the default ones. New option to make quantization of a loop permanent. New Repeat x times option to repeat a loop. Corrected a bug that was affecting proper quantization in some cases. Made Loop Editor resizable for easier editing of longer sequences. Shift-Drag loop border increases/decreases loop without stretching/condensing its notes. Paste now copies a loop of the same duration as the one copied. Paste now copies a quantized loop and not just the original. 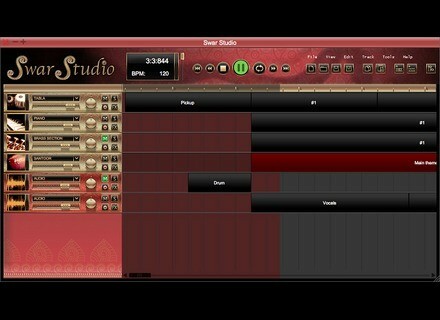 Saves the track plugin parameters in the song file. Corrected a bug with audio tracks spreading on a large number of bars. Reduced CPU consumption when idle. Increased volume range on in-built instruments. SamplerBanks Electrolyzium 2 Samplerbanks released Electrolyzium 2 for Electro House, Progressive and Complextro genres.